The Nouveau Wave offers 1.4 cubic feet (38 litres) of interior cooking and heating area with a maximum power output of 12,000 watts. It features durable white interior with glossy white exterior. Cleaning is a breeze with the XpressClean interior, and the Eco-button feature saves energy by dropping the overall power consumption to less than 1 watt when the microwave is not in use. The state-of-the-art electronic controls are a breeze to program and monitor via the easy-to-read blue LCD timer and clock unit and includes two defrost options, an auto reheat and power level option as well as our popcorn time toggle, designed to pop every kernel to perfection. The Haier 1.4 cu. ft. Over the Range Microwave in Stainless Steel gives you convenient cooking controls for quick and easy use. The Sensor Cook feature adjust your cooking time and power level automatically. A 300-CFM venting system helps enhance the air quality of your kitchen by removing smoke, steam and odors from your cooktop. 6.4 cu. 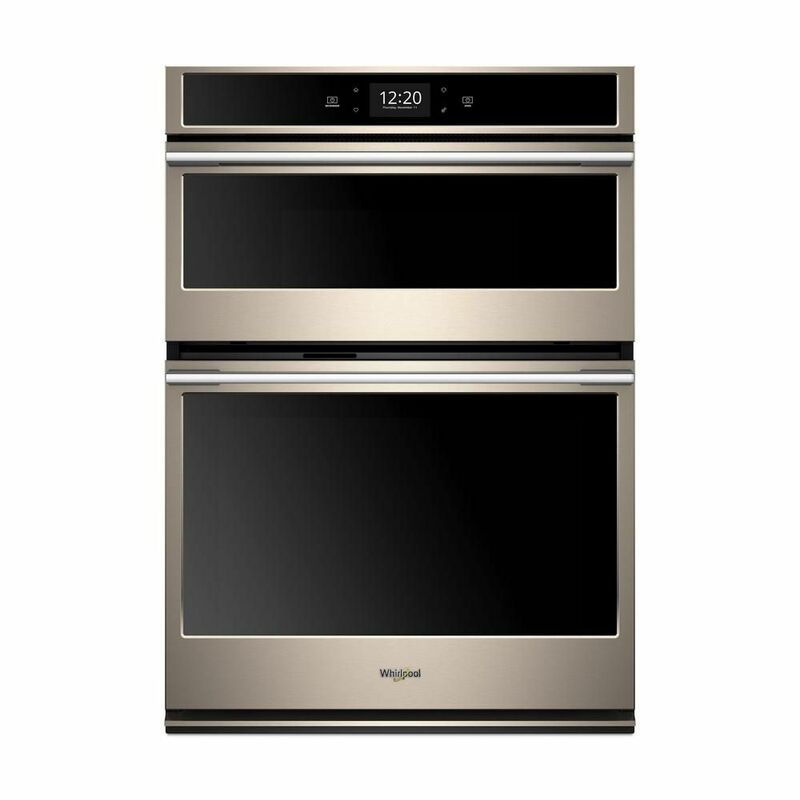 ft. Smart Combination Electric Wall Oven & Microwave with Convection in Sunset Bronze This self-cleaning combination wall oven helps you get the right settings every time. The touchscreen provides instant access to settings your family uses most.